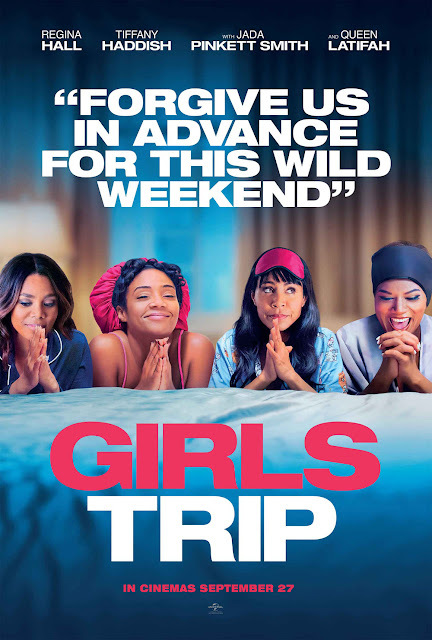 A certified blockbuster hit in the U.S., with box gross of over $100-million, Universal Pictures' adult comedy Girls Trip will be shown exclusively at Ayala Malls Cinemas (Trinoma, Greenbelt 1) starting September 27. The all-star cast is led by Regina Hall as Ryan Pierce, a successful author at the crossroads in her marriage; Tiffany Haddish as the hotheaded, free-spirited and fiercely loyal Dina; Jada Pinkett Smith (Magic Mike XXL) as Lisa Cooper, a conservative nurse and mother of two children who desperately needs a weekend getaway; and Queen Latifah (Miracles from Heaven) as Sasha Franklin, a gossip blogger who is circling a life reset of her own. The film co-stars an array of talented supporting cast, including Larenz Tate as Julian Stevens, the ladies’ friend from their university days; Kofi Siriboe as Malik, a charming festival-goer who captures Lisa’s attention; Mike Colter (Netflix’s Luke Cage) as Stewart Pierce, a retired NFL player and Ryan’s charismatic husband; Kate Walsh (TV’s Private Practice) as Elizabeth Davelli, Ryan’s all-too-eager agent; and Deborah Ayorinde (Luke Cage) as Simone, an acquaintance of Stewart’s who proves distracting to the weekend. 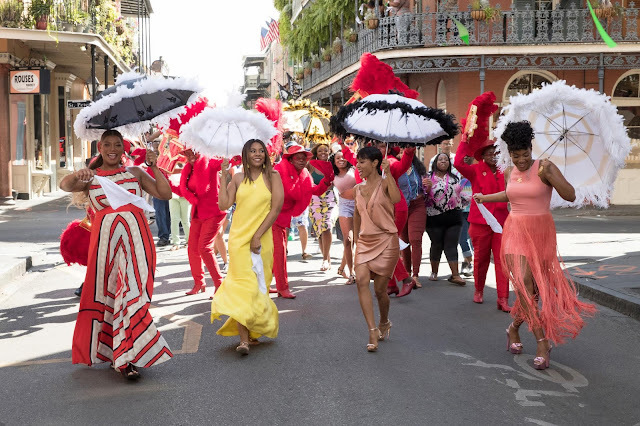 Girls Trip is directed by Malcolm D. Lee from a screenplay by Kenya Barris (creator of TV’s Black-ish) & Tracy Oliver (Barbershop: The Next Cut).